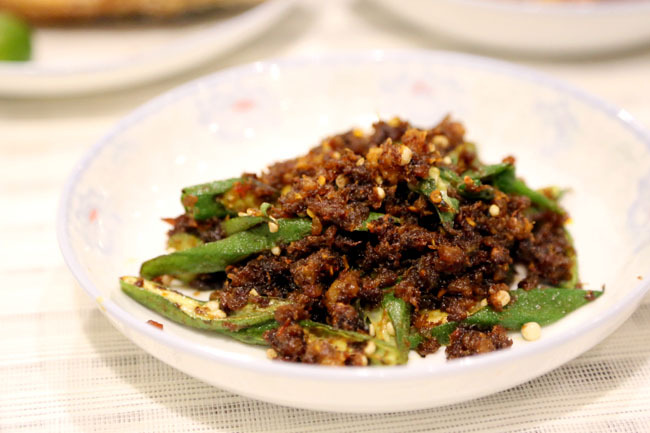 My granny who is Chinese but brought up in a Peranakan family, used to cook such dishes – the Babi Ponteh, Hei Bee Hian, Rempah Ikan, Sambal Udang, Chap Chye and Ayam Buah Keluak. 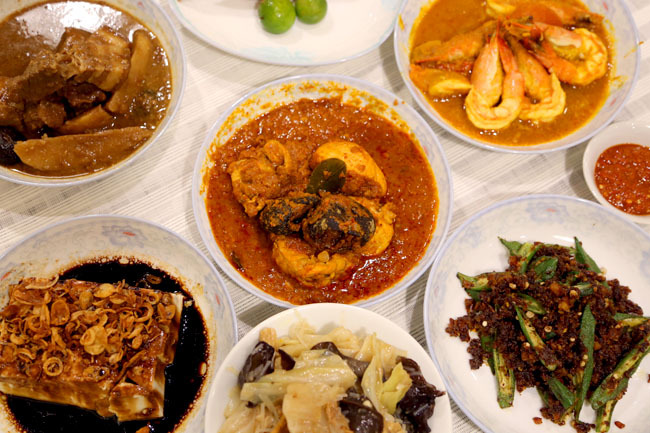 For the young ones who never tried before Nyonya cuisine, the food combines Chinese, Malay and some other cultures and is fast disappearing. 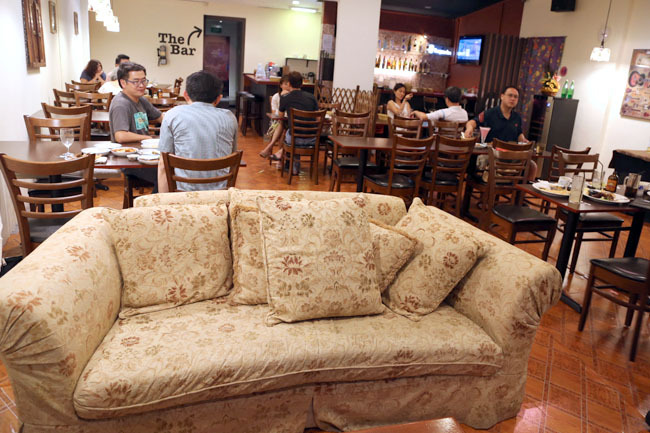 There are a few Peranakan Restaurants around, like Blue Ginger, Baba Inn, Violet Oon’s Kitchen, and House of Peranakan Cuisine. As they are more established, their food is also more polished, and perhaps commercial. Baba Blues’ nyonya food may remind you of a simple fuss-free home-cooked meal, what your mum or granny would prepare during a Sunday dinner (that’s if your mum is a good cook). You could see it in a good or bad way. 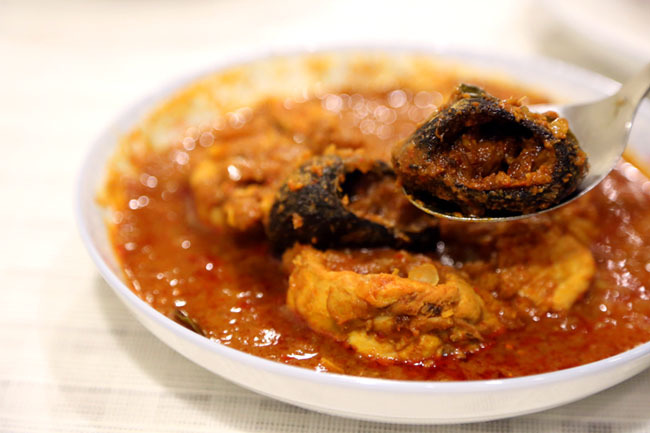 The dishes are usually prepared by owner Ben’s mother Auntie Marie, who still insists on pounding the Rempah and cooking the Ayam Buah Keluak. If she is not around, you won’t get your Ayam Buah Keluak. 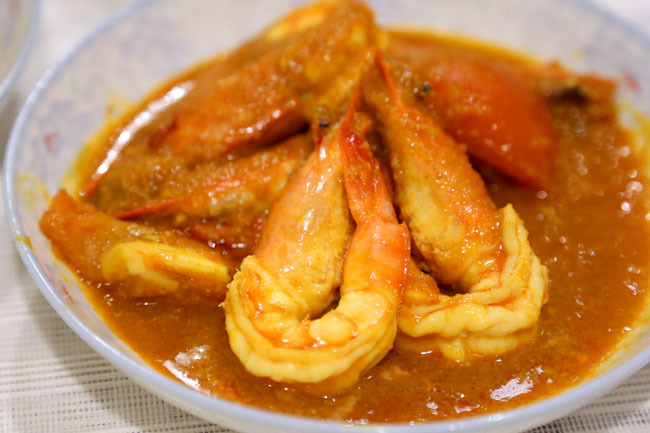 Some of my favourite dishes are the Sambal Udang ($10.00), fresh prawns cooked in a sambal and belacan, which is both tangy and semi-spicy, and Babi Pongteh ($9.00), stewed pork belly with mushrooms and potatoes. The meat and potatoes are cooked till soft, and the stew sauce makes a lovely accompaniment to just plain rice. I usually frown upon eating such fishes. Maybe it is the non-photogenic look or smell if you do not clean them properly. 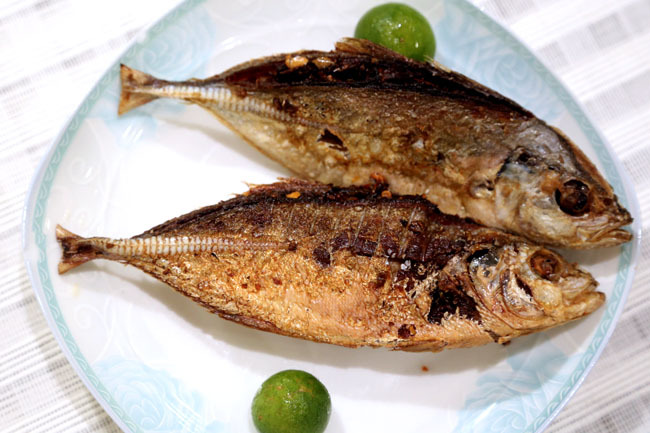 Baba Blue’s Rempah Ikan ($7) of fried whole selar fish comes with a surprise of homemade sambal belacan stuffed within, fresh-tasting and sedap. So good I immediately ordered takeaways so that my mum can eat this with her porridge. 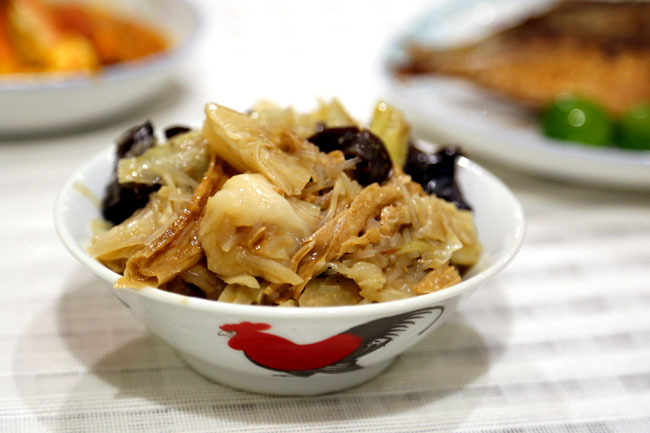 Ben said that these are the dishes he grew up with, such as the Cold Tofu topped with home-fried shallots ($3.90 order this please) and Chap Chye ($7). The classis stewed vegetable came slightly luke-warm, and I suggested that this could perhaps be served in a claypot in future. I came to Baba Blues after a buffet and food sampling. All dishes on the table – finished! Almost till the last drop. Maybe you won’t appreciate such simple fare if you belong to another generation (Oh, Baba Blues serve Western food like burgers and chicken chop too, with a pub behind FYI). Considering how pricey and effortful preparation of Peranakan food is, price point is still wallet friendly. 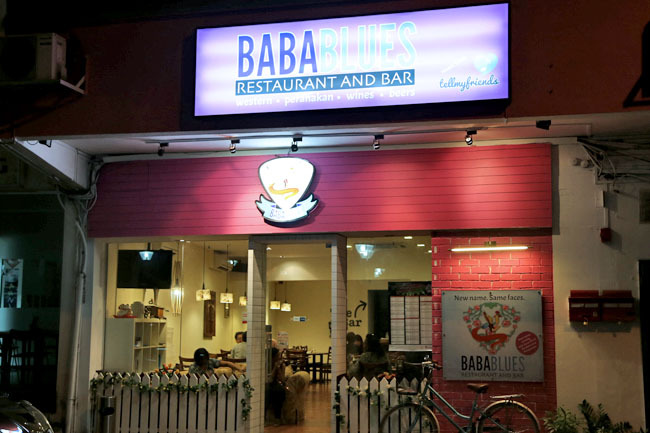 This may sound strange, but if you crave for home-cooked Peranakan food, Baba Blues could provide you with that comfort. Unreachable. Website down. No one picks up phone. Is it permanently closed down? Hi YA, thanks for notifying. Looks like it is.